This level has medium difficulty. For this level try to play near to snow blockers and make special candy as you get the chance. 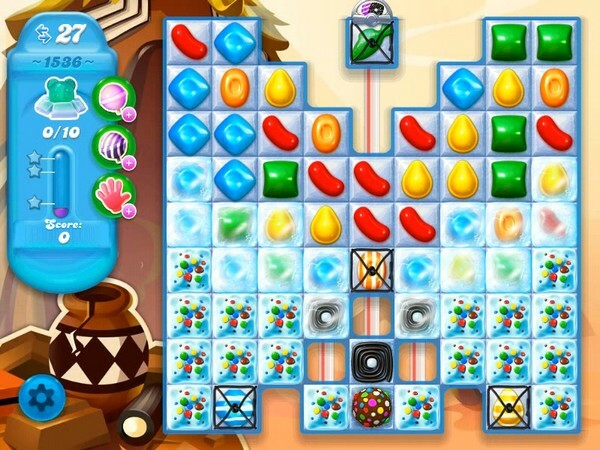 Combine special candies with each other to break them within 27 moves to find all bears. Been on this level for well over a week with only 6 bears max! “Tips” & enhancers worthless. This is a booster level only for me. I’ve been on it for days & 6 bears is the most I get. This should be a super hard level. It’s all a big con to make you buy extras king are trying to ripp everyone off and they can control each and every single game I’m stuck on this one 1536 they will keep me hear longer now . Rainbow Kimmi is her name and winning is her game.